This past weekend I had the opportunity to see the newest sequel-to-a-remake/reboot, known as Wrath of the Titans, or “Wrath of the Tibetans,” as my all-knowing auto-correct on my phone decided it to be. Phones think they know what we want to say; well why on this green earth would it think I wanted to invite my friends to watch a movie about wrathful Asians, when there’s a movie out there starring Liam Neeson as Zeus?! Yes I know North Korea is not Tibet, but I wanted to use this again. Anyway, if you haven’t seen this epic masterpiece yet, what are you waiting for? This should be number one in the box office! Well if you think I was being serious, I’m NOT. I’m joking, this movie is as disappointing as bubble wrap that doesn’t pop. It barely even delivers on the end credits. Approach that mountain of CGI, full speed! Look, I wasn’t looking for poetry in the cinema, but this flick doesn’t even try. Wrath? Epic tale? How about boring in an epic way? That’s right, BORING. With a poster like that! And chock-full of CGI monsters/battles! 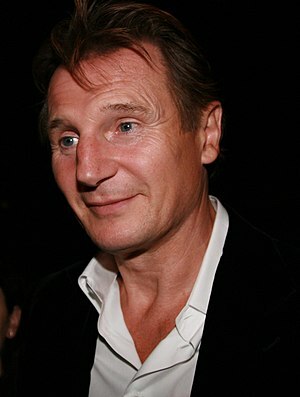 Did I mention Liam Neeson is Zeus? Well it doesn’t matter, because nothing in this whole movie seems to matter. The characters are pretty thin, or just don’t make sense (really, Perseus? You’d rather FISH all day instead of riding a BLACK PEGASUS around? Am I supposed to be cheering for this guy?). Thus, when they die, good or bad, I found it hard to care, though I think the filmmakers just cared about the action scenes. But that’s what everyone wants to see these days, right? Action? Yeah, it’s here, but there’s so much CGI and crap that usually it’s impossible to know where anyone actually is in relation to other armies. The accompanying soundtrack is typically bland, and would have been improved by just pasting “Duel of the Fates” over their so-called epic music. Not to mention everything is far too predictable, so there’s not even an element of danger here, if the audience took time to care. I think at the end of the day, most people were questioning why this movie even came along. It’s a sequel to a OK remake, and honestly it’s the same movie with more CGI and a whiny hero who just wants to stay in his peasant village and fish instead of embracing his supernatural powers and FLYING HORSE. Seriously, at least ride your flying horse to work every now and then. I think Wrath of the Tibetans would have been more interesting.